As I have noted before in these pages, though Laos and Russia have long had a close defense relationship that extends across several realms, including military education, law enforcement cooperation, and the purchase of military equipment, ties have also been on the uptick of late, with Russia looking to deepen ties with Southeast Asian states, and Laos’ new leadership, which took over following the quinquennial party congress in 2016, looks to solidify ties with neighboring states and major powers. Though actual progress on defense ties tends to be well below the rhetorical hype, some inroads have nonetheless been made. For instance, during Lao Prime Minister Thongloun Sisoulith’s visit to Moscow in September last year, both sides inked a contract on military and technical cooperation that came on the back of several other agreements on collaboration in this realm, including additional assistance on helicopter repair and procurement deals. 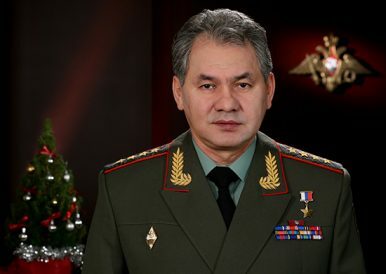 In January, during Russian Defense Minister Sergey Shoygu’s visit to Laos, both sides discussed ways to further make progress on military and technical cooperation. On March 26, in yet another apparent indicator of progress for bilateral defense ties, Russian state media cited a government statement as saying that Russia and Laos had reached an agreement to open a new Russian defense facility in the Lao capital of Vientiane. According to Sputnik, the office, which is partly funded and supported by Laos, will be comprised of technical staff that can provide assistance to Laos on defense cooperation, from visits of Lao units that operate Russian-made military equipment to training for the Lao military. Given the usual hype that accompanies some of Moscow’s dealings on this front and with so few specifics disclosed thus far, it is difficult to assess the true significance of the facility. Much of the defense collaboration discussed with respect to the facility, including for maintenance, repair, and overhaul (MRO), is par for the course given the state of military-to-military ties and the reliance that Vientiane has on Russian defense equipment. And in fact, discussions on this front had already been ongoing to some degree, which makes all this much less new than it might seem to those who do not watch defense ties closely. But as with other developments in Russia’s defense relationships with Southeast Asian states, this is nonetheless worth keeping an eye on as part of the fuller range of activities in military-to-military ties as well as in Moscow’s foreign policy more broadly.